You can create a link for an image area, so the image area will be clickable in your email. 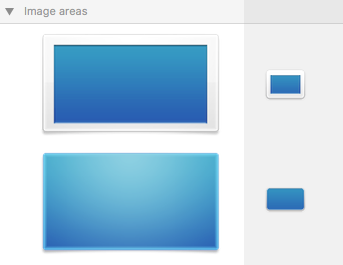 Remember that entire image areas will be displayed as a single image in your email. Also, you can only assign one link per image area. To create an image area link, choose an image area in your design. Then click the “Add Link” button from the Style section of the sidebar. Afterwards, enter your desired URL. The entire image area will be “hot.” Readers will be able to click it in your final message. With these layout blocks, you can only link to one landing page. It does not matter whether you add multiple graphics within the same image area. The entire image area will be rendered as a single image.